Registration will open on Monday, April 1, 2019 at 7:00 pm Eastern Standard Time. Limited to the first 150 players who register. Goalies are welcome. Work with the best college coaches in the country in a 10-1 coach to player ratio. 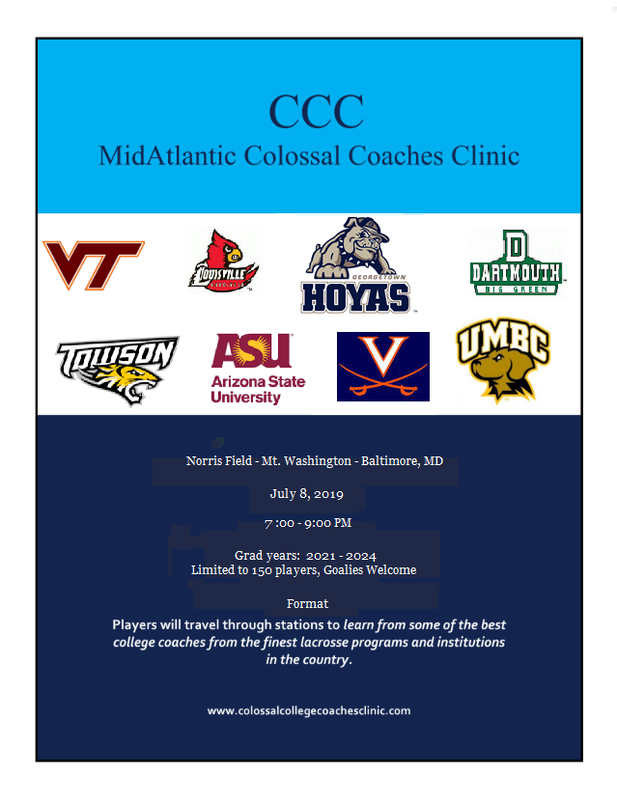 Players will travel through stations to learn from some of the best coaches from the finest lacrosse programs and institutions in the country.